Runaway to sea for a quick recharge! We can get you on the water for that sailing experience, even if you only have limited time available. 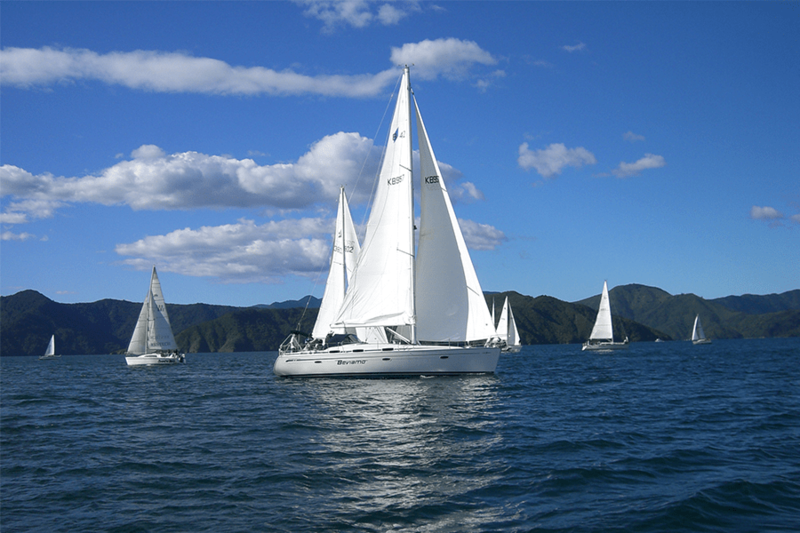 Enjoy the fresh air and exhilaration that sailing offers. A meeting venue with a difference! Sit around our table either below deck or in the cockpit, enjoying the fresh sea air. Beviamo’s management can design personal development exercises to bond and strengthen your team, using the unique on board experiences provided by Beviamo at sea. Let your clients know how much you value their business, with this unique entertainment venue. Maybe a Christmas function, a product presentation, or a simple catch up to say thanks. Take your staff or clients sailing as an incentive reward. 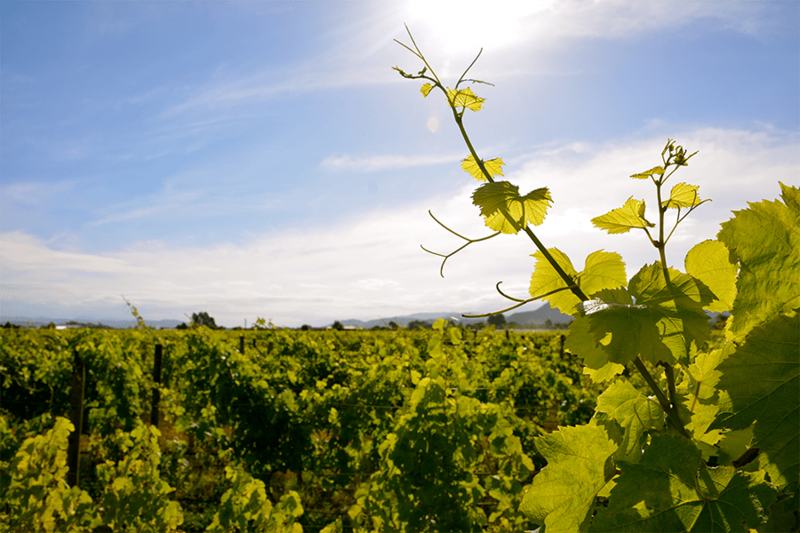 Beviamo has connections with some of Marlborough’s most prestigious wine makers. 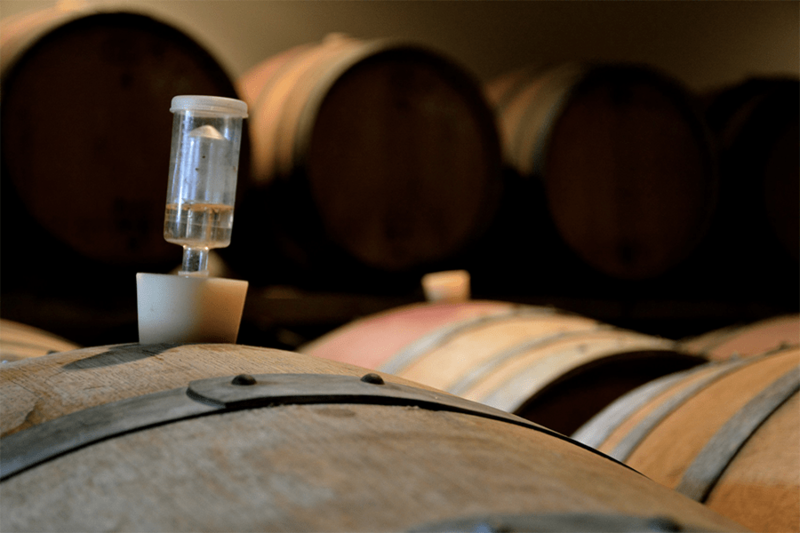 Join us for a tasting of wines seldom offered to the public. Minimum 4 hours – $400 for first hour, $100 per hour thereafter. Wine and food not included but will be arranged by Beviamo’s Cellar master. Additional costs will apply. 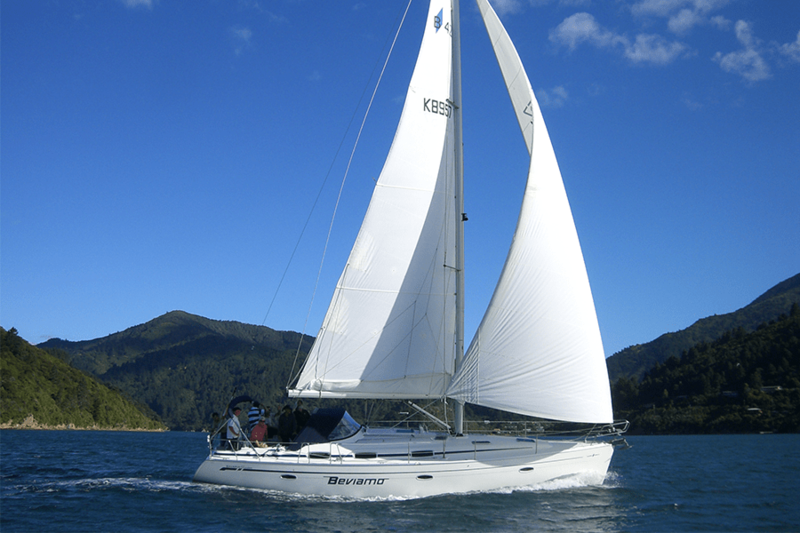 Sail on Beviamo to one of the numerous high quality restaurants located within the Queen Charlotte Sounds. 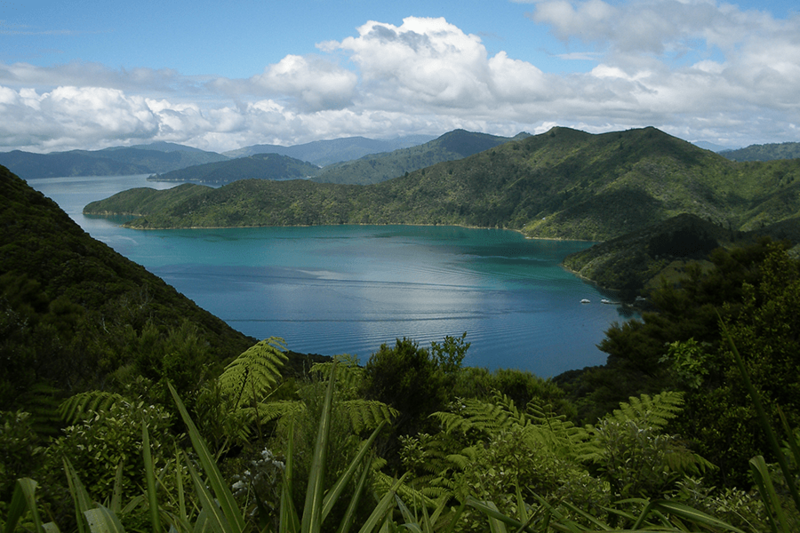 Many are just one hour from Waikawa. 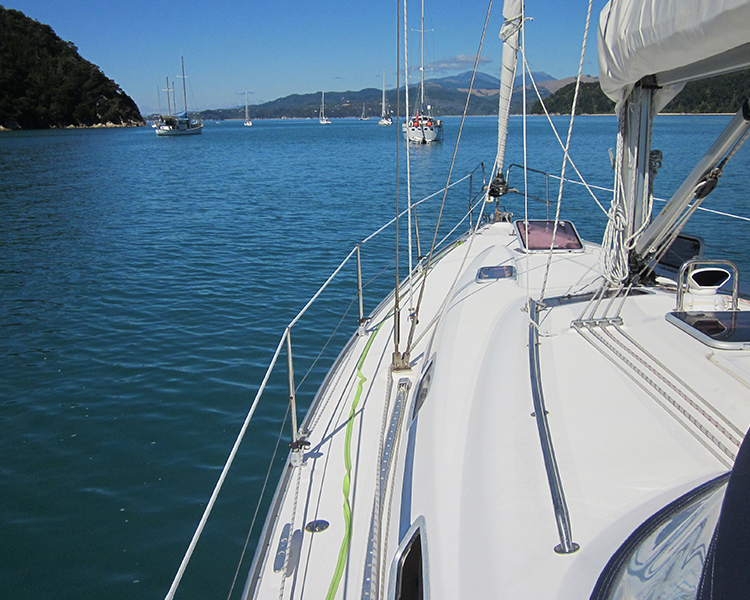 Sail on board Beviamo until we reach the section of the beautiful Queen Charlotte Walkway you wish to embark upon. 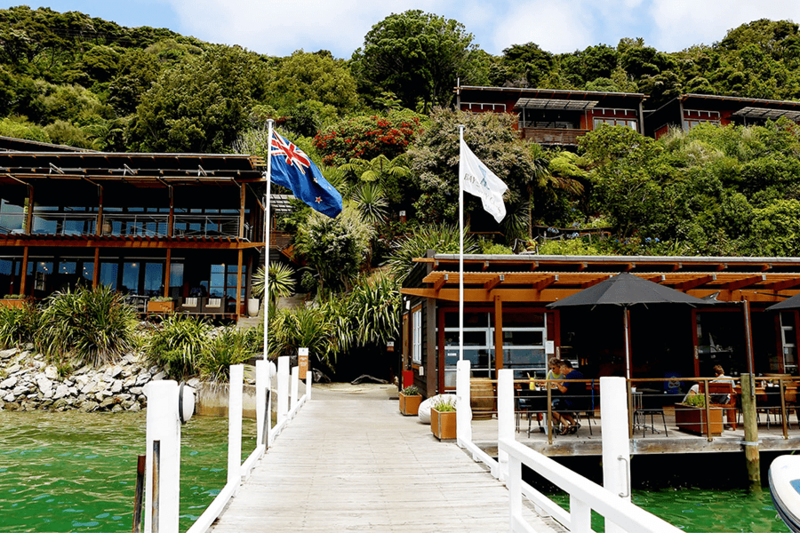 When you return to Beviamo, you can choose to travel back to Waikawa, go to one of the many Sounds’ resort restaurants or spend a relaxing night on board. Food and beverages not included. Catering options are available at additional cost. Fancy yourself as an America’s Cup sailor? Join Beviamo as we sail around the marks every Tuesday evening during Spring and Summer. Price $50 per person includes BBQ after racing. Visit some of Marlborough’s historic sites. 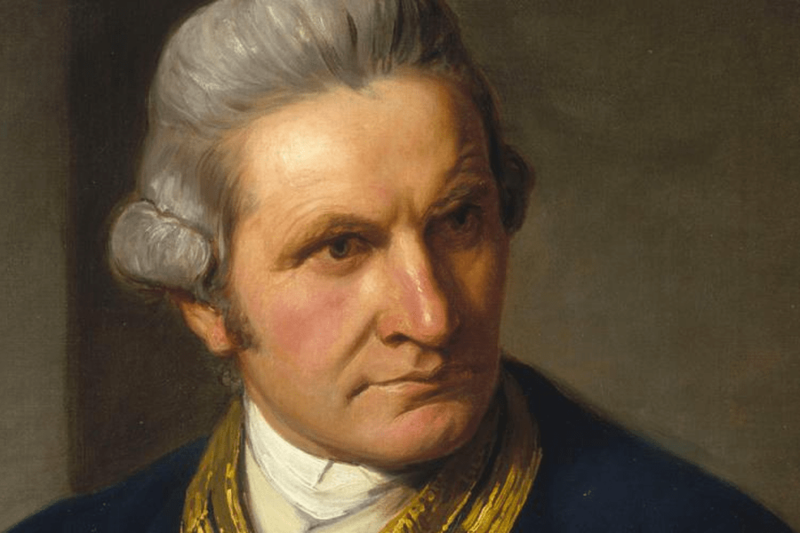 Journey to places visited by Captain James Cook, the former whaling station or even the gun emplacements originally established to protect New Zealand from a seaborne invasion. Experience sailing into areas steeped in history. Let your mind wander to imagine what it must have been like for our early explorers, seeing these places as you are, from the sea. 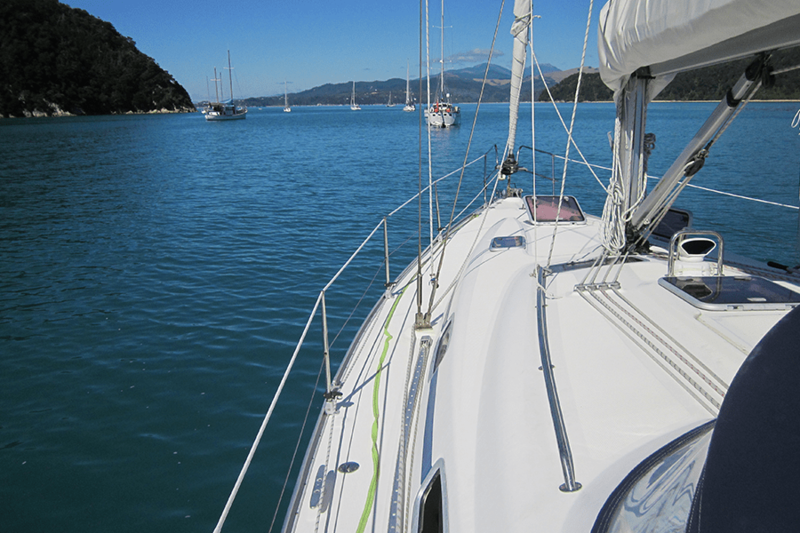 While sailing is relatively safe, there is always a degree of risk around water activities. Lifejackets are supplied and must be worn, when directed to do so by the skipper. When sailing, the yacht itself and its fittings may move unexpectedly. This can cause people to lose balance and fall, become entangled by ropes, or struck by yacht fittings moving quickly without warning. The skipper will inform those on board of the potential risks involved with sailing, so that you can enjoy yourself and minimise the risks. A 25% deposit is required to confirm your booking. This is non refundable if a cancellation is made within 14 days of the charter date. If Beviamo Charters cancels a sailing due to adverse weather conditions or any other situation, a full refund of the booking fee will be given. This is due on or before departure. We recommend that you have your own comprehensive insurance to cover you while you are on holiday, particularly if you are from overseas. Prices are subject to change but will be confirmed at the time of booking. Beviamo Charters reserves the right to alter, amend or cancel any tour at any time including when a charter is in progress, should the skipper feel that the weather or any other situation should warrant it. The skipper’s decision is final. 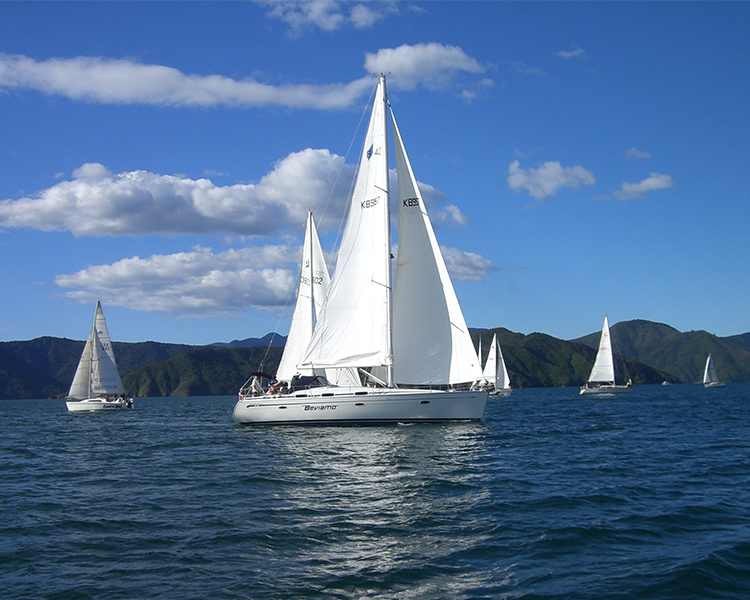 All persons on board must comply with New Zealand Maritime Law and directions given by the skipper. Beviamo Charters accepts all charters upon the express condition that it will not be liable for any injury, damage, loss, accident, delay or irregularity which may be occasioned, either by reason of weather, or any defect in support vehicles, vessel or through the acts of defaults of any company or persons engaged in conveying passengers or in carrying out the arrangements of the charter. Hire time starts at Waikawa and terminates at Waikawa unless otherwise specified.